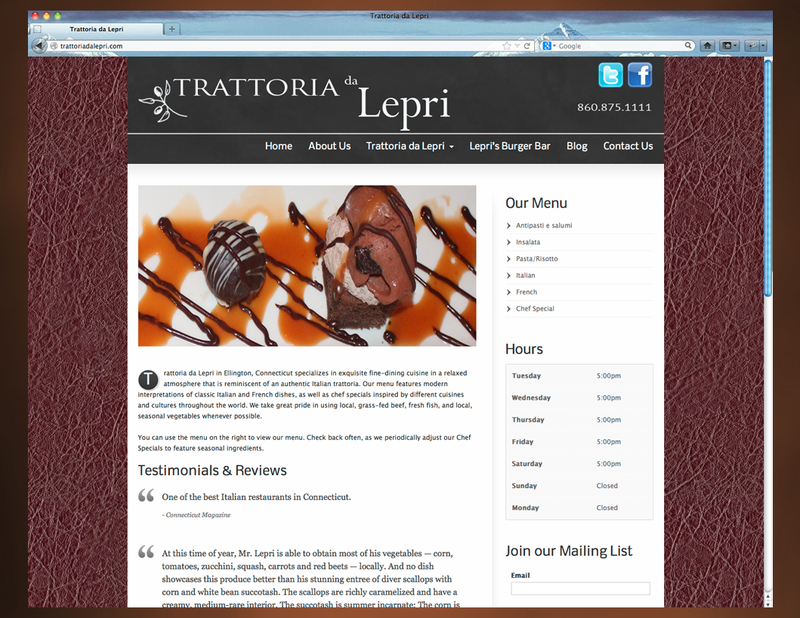 When Chef Frank Lepri, owner of the popular eatery Pastis, decided to open an Italian style trattoria featuring authentic French and Italian dishes, he and his wife Deborah Lepri needed a new website and social media presence that would help them to brand and market Trattoria da Lepri. We created an elegant website that complemented the fresh, exquisite dishes produced by the chef. We continue to help them develop social media content and newsletters to keep their customers engaged.